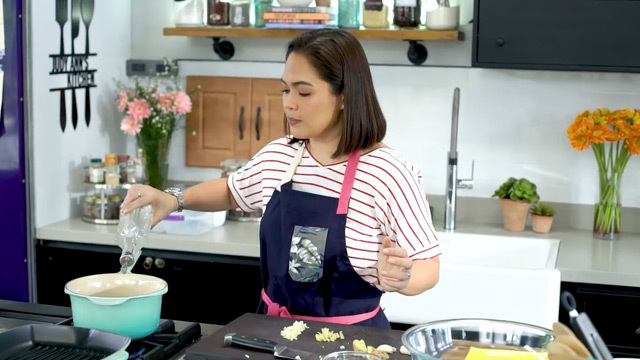 What’s Inside Judy Ann’s Kitchen? An all-white backsplash is the best backdrop for your decor, accessories, and cooking must-haves. What better way to make a kitchen cozy and inviting than with a few potted plants and blooms? In Judy Ann's kitchen, flowers and succulents work hand in hand to create a relaxing ambiance. To liven the space up, the accessories complement the colorful cookware. 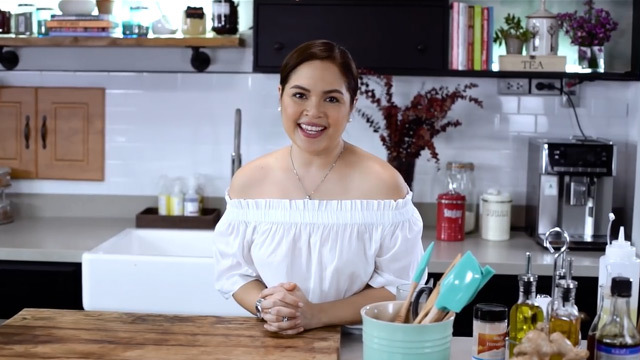 Judy Ann has Le Creuset's cast iron cookware in cool mint to further open up the kitchen and give it an airy feel. Got a favorite color? Le Creuset has options you can check out—from lavender and millennial pink to teal and yellow. Invest in a sturdy yet captivating refrigerator. The cooking area highlights a balance between modern touches and country-inspired elements. A quality refrigerator is a must-have in any kitchen—big or small. 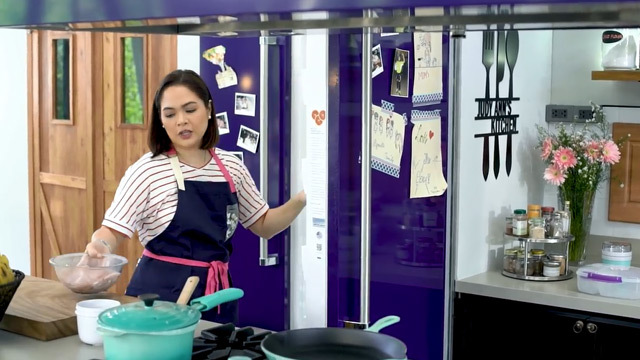 Judy Ann has a Viking side-by-side refrigerator in cobalt blue, a striking color that adds a sleek appeal to the area. RL Tip: When buying a new ref, always review each product's features and energy consumption. Don't decide on the style and color only as you need a piece that can stand the test of time. Create simple vignettes using items you already have. Veggies and fruits are colorful and can be used as accents in your kitchen. Take your cue from the photo above by placing fruits in a basket and using it to spruce up a dull corner in your space. Add height by bringing in pretty bottles and bowls used as utensil holder. RL Tip: Find woven trays and baskets at Kultura Filipino. Achieve warmth with a few wooden touches. Achieve a homey cooking corner with a few wooden touches. Whether you're thinking of adding a wall accent, a shelf, or a cutting board countertop, your chosen piece can add a country-inspired or rustic charm to your kitchen. For an extra minimalist appeal, opt for wood in a light, natural finish. Maximize your walls with different storage options. Instead of opting for overhead cabinets, experiment with open cabinets and wall-mounted shelves. Keep your essentials organized to make the most of your storage units and use these to display your collection of books and knickknacks, too. 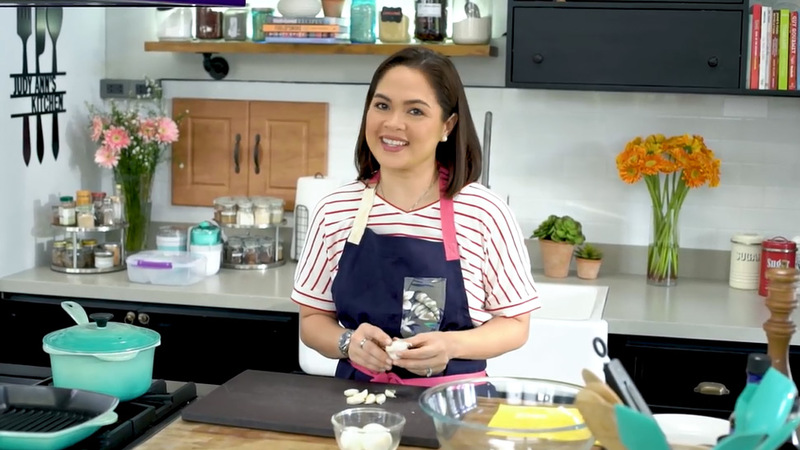 Take inspiration from how Judy Ann maximized her shelves—she has cookbooks and clear jars on display. Do something similar by gathering your favorite recipe books and keeping these within your reach while cooking. For a cohesive look, you can also transfer powdered ingredients and other supplies in clear mason jars. RL Tip: A wood and metal shelf can add an industrial feel to your kitchen. Follow @dekko.ph on Instagram to see how you can have one customized. Update the look of your cooking area with a chic yet durable sink. Complete the look of your kitchen with a white fireclay farmhouse sink. The said option is know for its durability, shine, and timeless appeal. RL Tip: Shop for the perfect kitchen sink for your space at Sanitec, 2/F, 240 E. Rodriguez Sr. Ave., Quezon City. 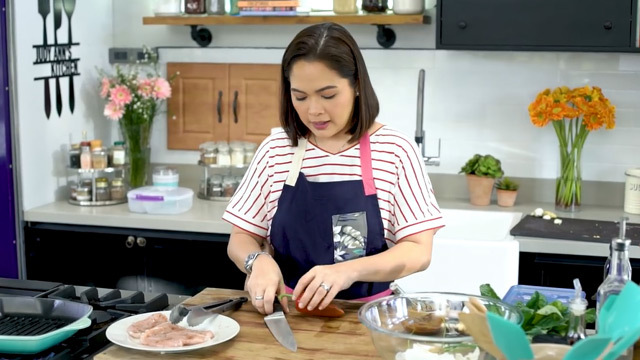 For more videos, subscribe to Judy Ann's Kitchen on Youtube.